This weekend something magical happened, something that my family and I look forward to all year long, the farmers market opened! Yes, we really do get that excited about it, ha! 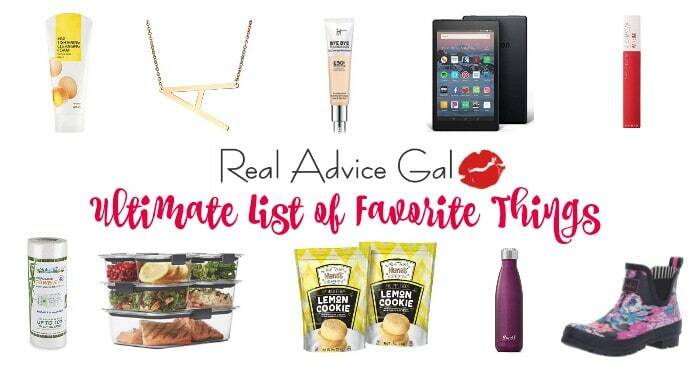 It’s a shopping trip the whole family enjoys, and we usually make a day of it by having lunch while there and picking up some fresh fruits, veggies, baked goods, and local honey! One of my favorite vendors had some amazing looking strawberries and I knew I had to have some. 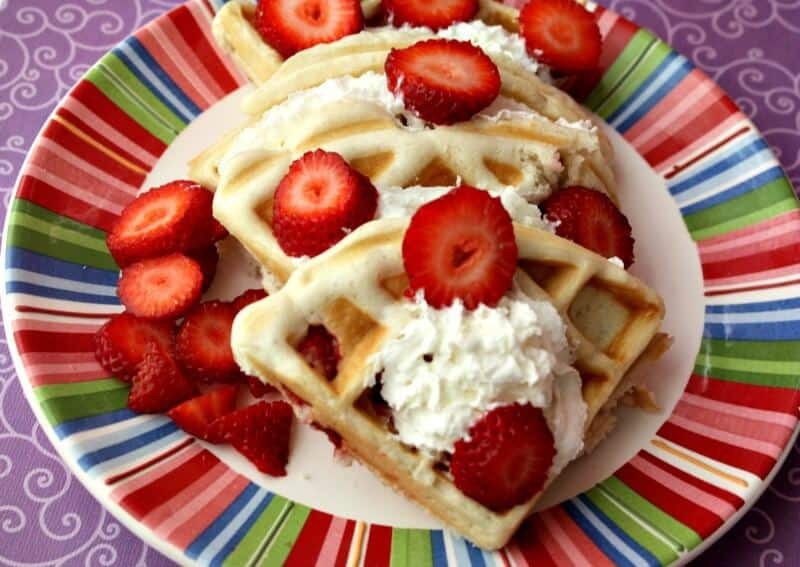 And my daughter knew what she wanted to do with them…make Strawberry Shortcake Waffles! This recipe can be used for a sweet breakfast, or an easy dessert that everyone will love! Let’s check out how to make them shall we? Step 1: Mix all of your ingredients together (expect for the whipped cream) in a bowl until smooth. 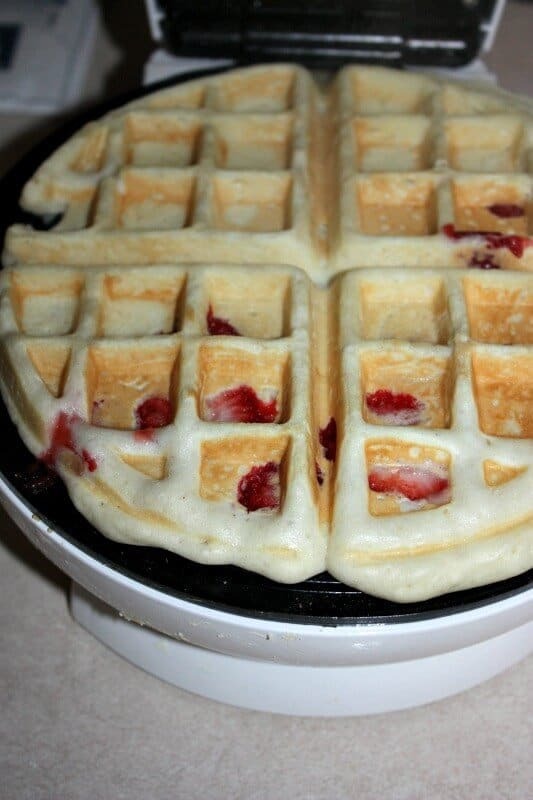 Step 2: Break out that waffle iron! Pour 1/2 a cup of batter into your waffle iron and cook until golden. Step 3: Cut into 4ths, top with fresh strawberries and whipped cream, enjoy! That’s it! Some simple ingredients, and about 10 minutes and you have a breakfast or dessert everyone is sure to love! And if strawberries aren’t your favorite, you could use this same recipe and instead of using strawberries you could use blueberries, blackberries, peaches, cherries, or anything else you can come up with! 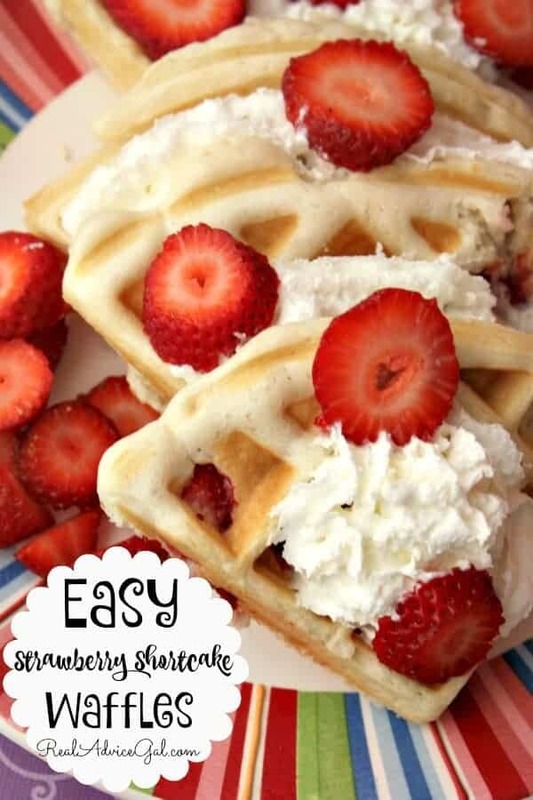 Waffles with a Strawberry Shortcake Twist! 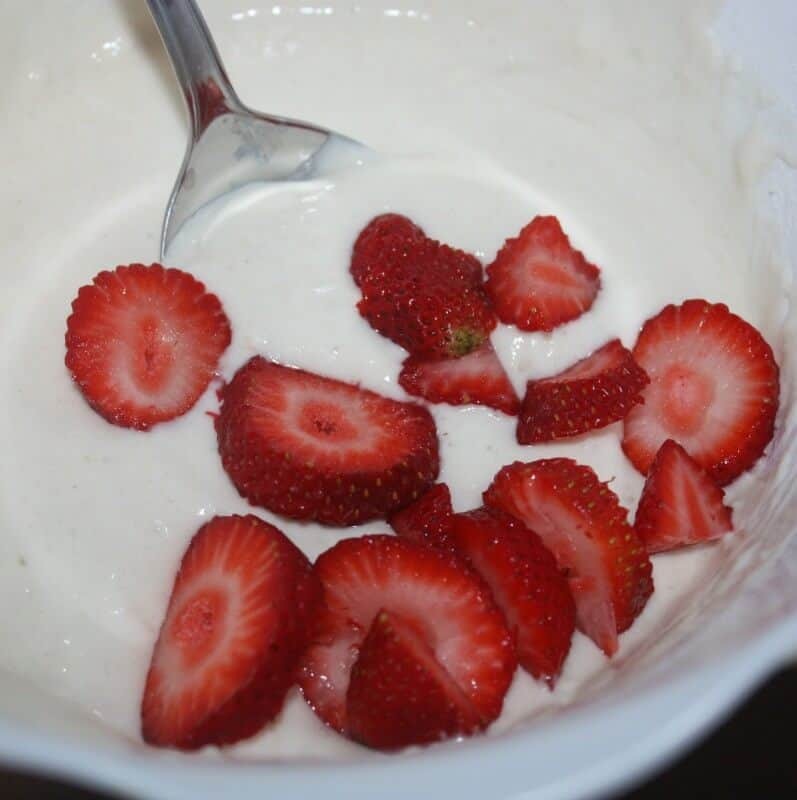 Mix your ingredients (other than the whipped cream) together in a bowl until smooth. Pour ½ cup of batter into a preheated waffle iron and bake until golden.